After school classes run during the weekend and throughout the week. There is a huge variety of classes on offer in Cheam. Here are some we have tried. Don’t forget to check the Reviews section for Cheam Mums’ verdicts. We offer fun and exciting children's dance classes in Freestyle, Latin American, Ballroom and Salsa with qualified IDTA teachers. 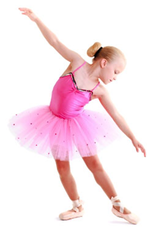 We hold Medal Examination sessions yearly with the International Dance Teachers Association. Children's Dance Parties, Summer Dance Camp and Presentation Evening are also available. We also hold dance lessons at West Ewell Infants School, West Ewell, Surrey on a Wednesday. Our weekly Star Steppers classes are jam-packed full of dance, singing, drama and fun games. These energetic, creative sessions are fantastic for improving self-confidence, nurturing imaginations and keeping children fit and healthy. Our local, community-orientated classes are friendly and welcoming. The emphasis is not on exams or competition but on personal development and a supportive learning environment. We encourage all our pupils to participate in end of term productions and local events. SPECIAL OFFER: COME AND TRY THE CLASS FOR FREE! The two older classes are FULL - Contact us now to join our waiting list. If your child is aged between 3-6yrs then LIMITED PLACES ARE STILL AVAILABLE so please contact us to join the class.